G and I live just a couple blocks away from Los Angeles&apos; Koreatown, so my interest in Korean beauty has piqued since we moved into our home last year. 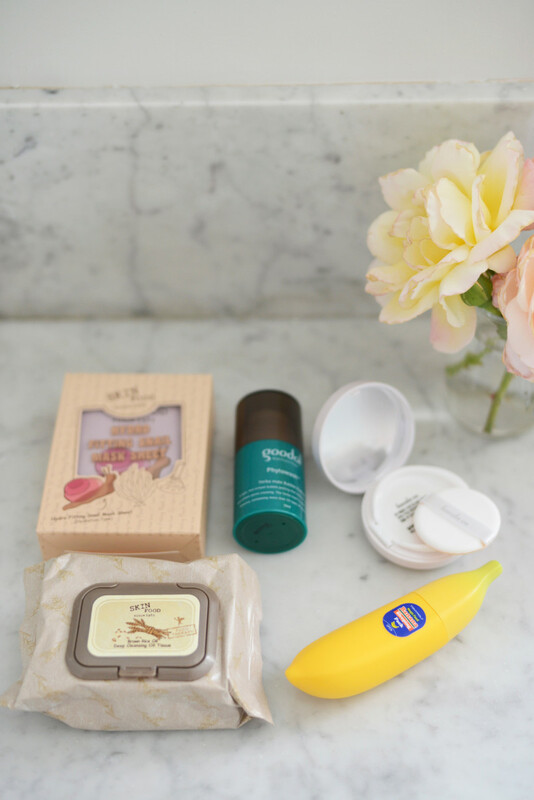 It seems that every beauty website and magazine I&apos;ve been reading these days sings the praises of Korean skincare products, so I&apos;ve been curious to try them. 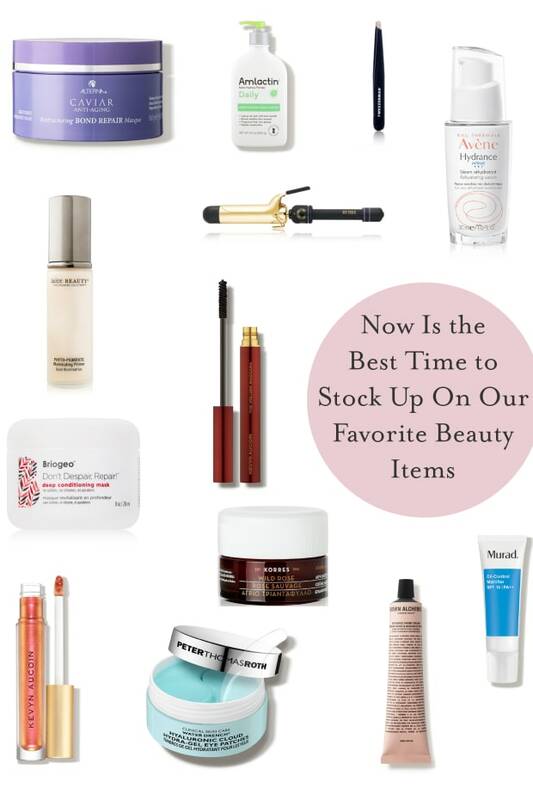 While I have a stable of American brands that I swear by (Kevyn Aucoin mascara, MAC lipstick, NARS brushes), I&apos;ve slowly started to experiment with non-US based brands like Shiseido. 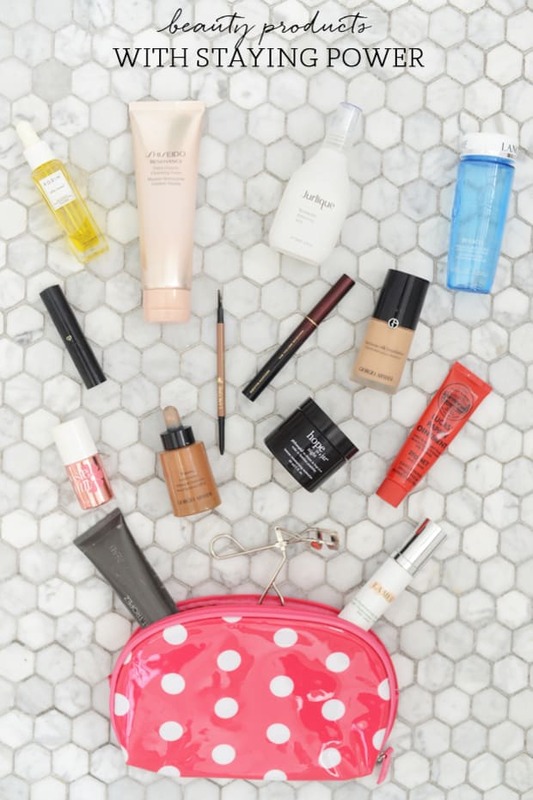 I wanted to know more, so I reached out to Sokoglam founder – and all around Korean beauty enthusiast – Charlotte Cho, to help me pinpoint exactly what products I need and why. Here are the five popular Korean beauty products I tested to see if they would make it to my normal regimen. What it is: "Sheet masks are intensely hydrating. 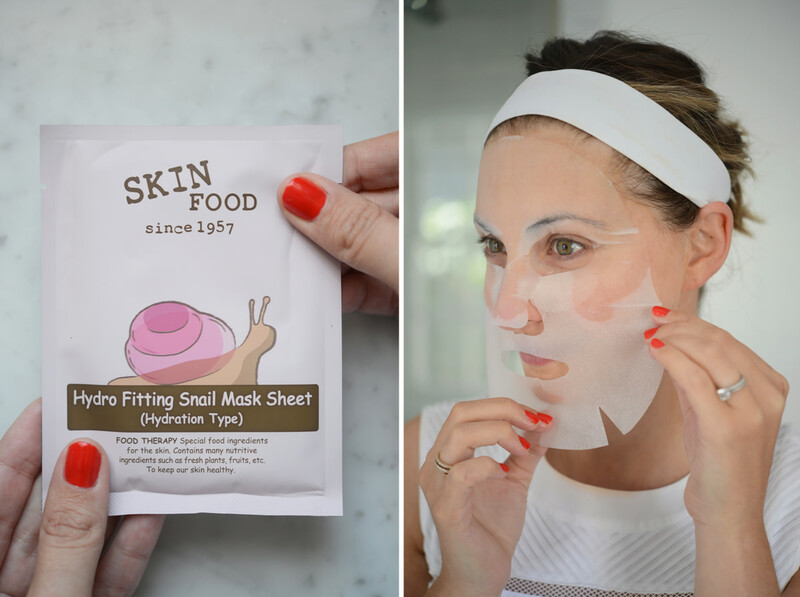 This Skinfood Hydro Fitting Snail Mask Sheet is "a micro-fiber" type, which means it has a cotton-like texture. The design of the sheet helps your skin mingle with the ingredients and prevents evaporation, which happens to a lot of skin products that we apply them topically." Why you need it: "This particular sheet masks contains snail mucin. Snail mucin is not the gooey slime that you may think it is. It&apos;s actually an extract packed with nutrients such as hyaluronic acid, glycoprotein enzymes, antimicrobial and copper peptides, and proteoglycans -- all ingredients commonly used in beauty products and proven to be beneficial to the skin. They repair damaged skin, restore hydration, and stimulate the production of collagen and elastin to prevent signs of aging." How to use it: "After you cleanse and apply your toner, remove the sheet mask from packaging and place carefully around eyes and nose, smoothing with your palms. Relax for 20 minutes. Remove mask and discard. Follow with the rest of your skin care routine. For the full Korean beauty experience, follow with essence, emulsion, lotion, serum and your favorite moisturizer." My Take: I had to talk myself up into trying this product, especially after opening up the package. It has actual snail slime on the mask itself and there&apos;s a lot of it. But once I put on the mask, I got over my initial hesitation since it smelled really nice, and the cool mask felt good against my skin. When I took it off, my skin was really sticky and wet-looking, but after a couple of hours (you&apos;re not supposed to wash it off), it looked dewy and hydrated. The next morning, after I washed my face and put on lotion, I noticed a huge difference in my skin - it felt abnormally soft and looked brighter than usual. What it is: "Cushion compacts are the latest "it" Korean product right now - not only in Seoul but they&apos;re quickly catching on in the States. It multitasks like a BB cream by providing coverage, hydration, and sun protection but unlike a BB cream, CC creams leave behind a dewiness. But, for those who are more oily and want a fresh, flawless matte finish, enter: Banila Co It Radiant CC Melting Foundation. 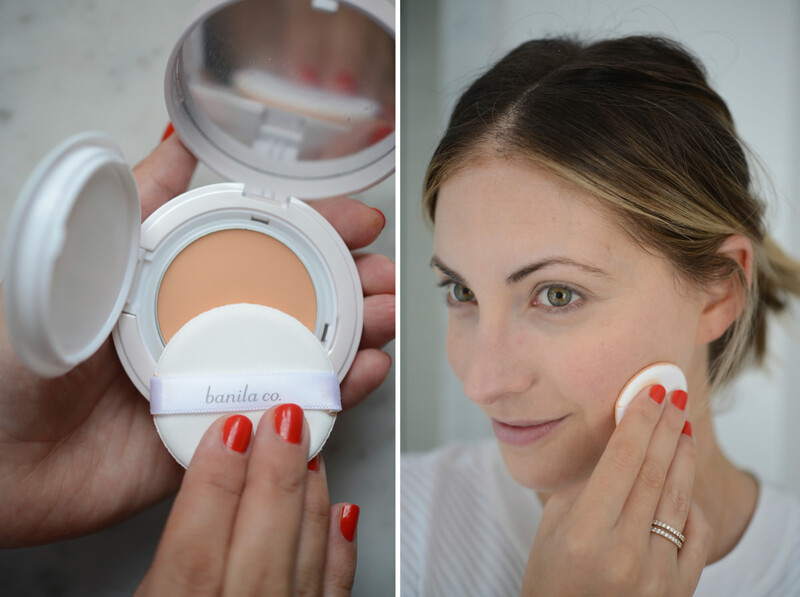 The Banila Co It Radiant CC Melting Foundation is a hybrid of a foundation, BB cream and a cushion compact. It isn&apos;t wet like a cushion compact or liquid foundation, but it does feel creamy to the touch (hence the name melting). This is perfect for oilier skin types that want a natural finish that is more matte. This one offers a tad bit more coverage than your average cushion compact and protects with SPF 32/PA++." Why you need it: "Sun protection is what is going to help you avoid premature aging and we&apos;ve been told again and again to reapply sunscreen every 2-3 hours. 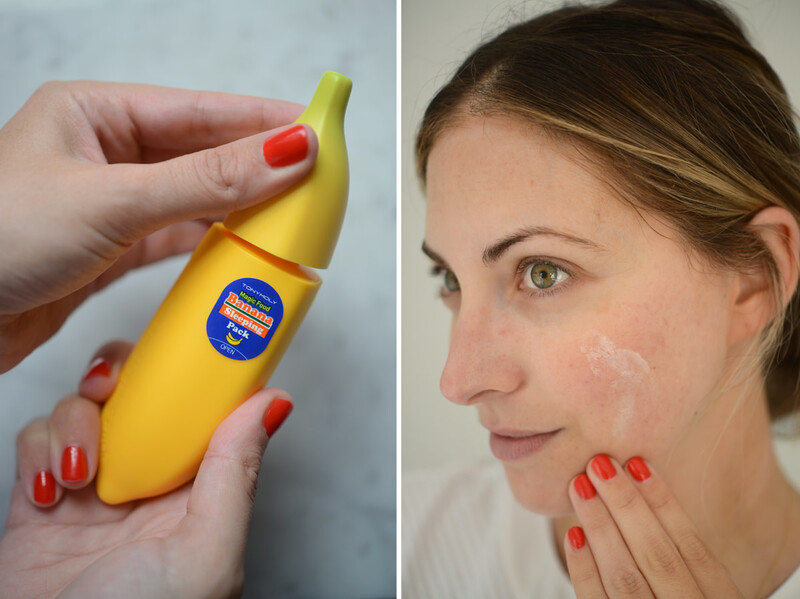 It&apos;s pretty unrealistic to reapply sunscreen over your makeup, so touching up with a product like the Banila Co It Radiant CC Melting Foundation helps keep you protected throughout the day." How to use it: "After your normal skin care routine, dab the puff into the creamy disc and pat (don&apos;t smear) all over the face and neck. It can be layered if more coverage is needed. Use daily." My Take: I&apos;m fairly loyal to tinted moisturizers and foundations and have never really used anything in a compact, so I was apprehensive to try this. I thought I&apos;d get a really flat, powdery finish to my skin, which didn&apos;t happen. It glided on nicely (it almost felt velvety!) and while my skin was a bit more matte than I usually like, the coverage was ideal: it covered up redness without making it look like I had on a full face of make-up. What it is: "Sleeping masks (or "pack" as they say in Korea) are a hugely popular treatment that combat tired, dull, dehydrated, and distressed skin. It&apos;s even for oily skin types because people who have lots of oil production actually lack the right type of moisture (i.e. water content) in their skin. These overnight packs are specially formulated to provide a boost of moisture to the skin at night when you sleep. This Tony Moly Magic Food Banana Sleeping Pack/Mask happens to be packaged in a cute banana container and even smells like sweet bananas." Why you need it: "When you sleep, your skin repairs itself. Koreans firmly believe that hydration is the answer to rejuvenating their skin, and are always looking for products to help add moisture. Put this on at night and you will wake up with your skin feeling bouncier." How to use it: "After the last step in your skin care routine, use this overnight mask in place of your usual night cream. Apply the product generously and evenly on your face. It absorbs quickly and will hydrate as you sleep. You&apos;ll wake up with smooth, bright skin. Rinse in the morning and follow your normal cleansing routine. To be used once or twice a week." My Take: "The packaging of this mask is so fun that I&apos;d use it even if I didn&apos;t like the results (which I did). The smell reminds me of banana Runts candy and the mask is so thick that it really penetrates deep into your skin. 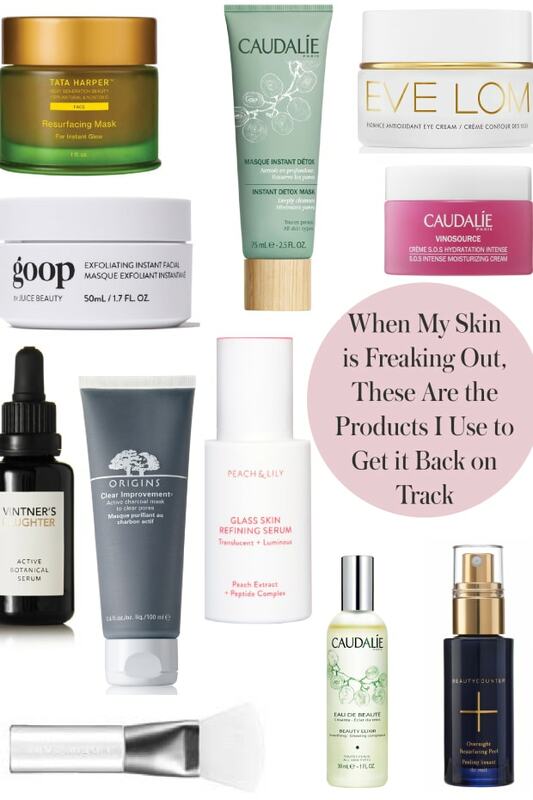 When I woke up in the morning, my skin felt much more hydrated than usual." What it is: "&apos;Peeling&apos; is a term used to describe exfoliation products in Korea. I love how Korea&apos;s peeling products involve both mechanical and chemical exfoliators, especially the Phytowash Yerba Mate Bubble Peeling. Mechanical means that there are granules in the product that slough off dead skin cells on top of the epidermis. Chemical means that there are chemical ingredients that act as exfoliants to go deep in the pores and clean out any debris inside of the follicle." Why you need it: "Exfoliation is all about sloughing off dead skin cells, brightening your complexion (by stimulating blood circulation), and allowing better product absorption. Exfoliating also smooths your skin texture and can even help reduce fine lines." 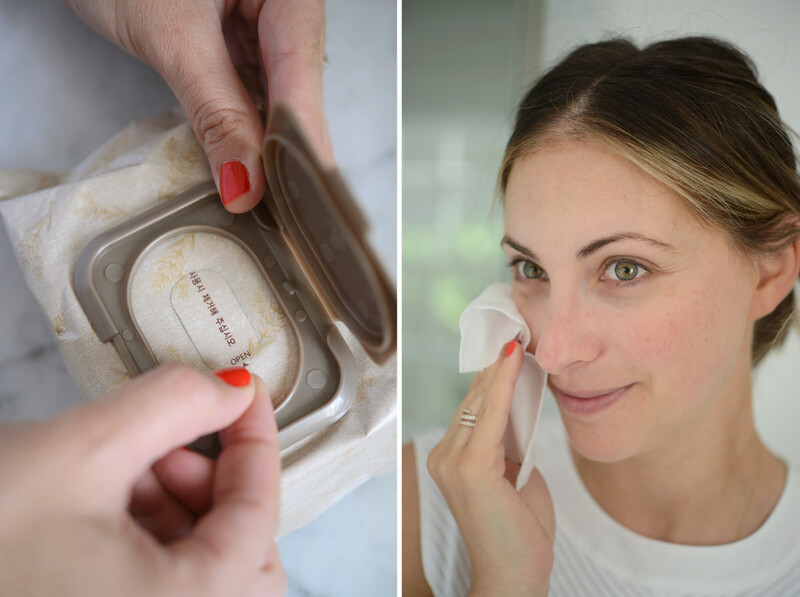 How to use it: "Before you use your peeling product, remove your eye and lip makeup first. Then use the Phytowash Yerba Mate Bubble peeling as a muti-tasking facial cleanser and exfoliator in one. Pump some product into the palm of your hands and use upward circular motions to massage the product into your skin. It&apos;ll foam slightly (hence the name bubble peeling). After you cleansed, wash off with lukewarm water. Use once or twice a week." My Take: This product was a bit intense for me (it tingled slightly), but the effects were worth it. It starts out as a normal exfoliating serum, but once you add water and apply it to your face, it gets seriously foamy (shaving cream consistency). I&apos;d use this every once in a while when I want to get my skin super exfoliated and glowy. What it is: "These are convenient, ready-to-use towelettes infused with Brown Rice Oil extracts to gently remove oil-based debris such as your makeup, sunscreen and even pollution." Why you need it: "In Korea, oil cleansers are extremely popular. Every line offers at least one oil cleansing product. It&apos;s great for all skin type because they&apos;re gentle and don&apos;t strip your face of its natural oils. These Skinfood Brown Rice Oil Cleansing Tissue towelettes are handy because they travel well both in your suitcase or even in your gym bag. (Sidenote: You shouldn&apos;t be working out with a face full of makeup because sweat, dirt, debris, makeup and bacteria can lead to breakouts!)" How to use it: "Just remove one sheet from the package to gently swipe across your face to remove all makeup and oil-based debris. Discard after use. For daily use both morning and night." My Take: For someone who&apos;s bad about removing make-up at night, cleansing tissues have always seemed like a good idea, but never pan out since they either leave a tacky residue or are drying. This one had a subtle, sweet smell and managed to remove all of my make-up, but kept my skin feeling moisturized and fresh.